So give me some time to sort things out ?? When you OPEN the 39ers Club Photo Album above. OPEN that - ALBUM ?? WE ALL MEET AGAIN UP THERE! 24th 39th or 50th Missile Club Website's below. We Welcome New Members for 2014. Harold Beardsmore, Telford, 36 Bty. have, Joined 'The 39ers Club', October 2014. Richard served with 36 Bty RA in the early 1960. We Welcome New Members for 2015. Have joined The 39ers Club, April 2015 and gave us a very large donation - that should keep us going for a while. 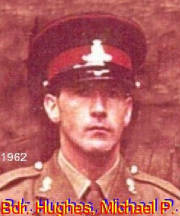 Michael (Mick) served in 36 Bty 1958 - 1964. Sorry to say that Michael (Mick) Wood passed away on the 4th April 2015. Have found our website 'The 39ers Club' (Mick) lives in Bedfordshire,he served with 171 Bty 1967 to 1970 (Bdr) his partner: Linda.Thank you (Michael) for joining us and your kind donation. There a SPACE here for Your NAME ! Thank You, Lads for Your Membership Fees & Kind Donation's. The Comments you make about this site are Private and will be read ONLY by Me - then I could take what ever action is required to Help in this matter! If you served with the 39 Regiment RA over the years let me know than I can put your details on our NEW database. So your mates that served with you - will be able to contact you. Our old database had over 1,000 contact details so lets double that. We only live once! 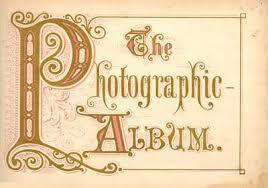 so lets get in touch with each other and remember the happy days or were they? The 39 Regiment RA could be disbanded in 2014 - (was disbanded on the 20th Feburary 2015). It one of the last of the group of Honest John Missile Regiments that served in West Germany in the 1960's. The Western Front - Cold War - not just the weather - or the Beer.
' Click ' for Photos or words below. If you have Photos taken with 39 Regiment RA over the years and would like to share your memories with US. You are most WELCOME to look around our website - tell your friends about us. I myself served with the 39th Missile Regiment RA from 1959-67. So if you served or know of anyone that was associated with the 39th Regiment RA over those years, let me know. This (The 39ers Club) is a personal web site and has no official status. The contents and design of this site is by me and no other. I WISH TO THANK ALL THOSE WHO HAVE CONTRIBUTED TO MY SITE.